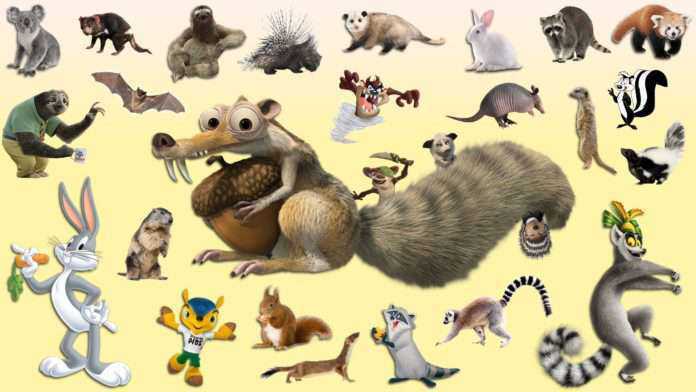 The diversity in the animal kingdom is comprised of millions of animals. 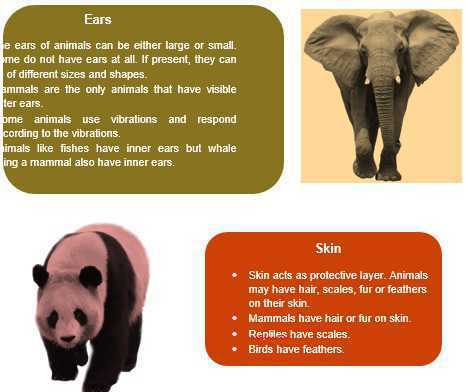 Though all these animals have the same type of organs and body parts yet they appear very different from each other. The lightweight and special shape of the feathers help the birds fly. Birds have hollow skeletal bones that makes them light and enables them to fly. Animals like cow, goat, buffalo and camels are domesticated for milk and milk products like curd, cheese, butter and ghee. Animals such as hens and ducks give us eggs and meat. We commonly get meat from animals like sheep, goat, fish and hen which are rich in protein. Honeybees provide us with honey. We get wool from sheep used for making blanket, sweaters, clothes and carpet. The leather is obtained from the skin of animals like buffalo and camel. We get silk from silkworms for making clothes. Shells, feathers and teeth of animals are also used for making jewelry and decorative items. Animals are used for lifting and carrying heavy loads. Horses and camels are used for transportation in hills and deserts. Dogs are kept as pets and for guarding the house. Every living being needs company. Mostly all the animals and human beings live with their family or groups what we call a society. Animals like sheep, horses, fishes, etc. like to live in groups to protect themselves from predators, a division of labour and food collection but there are few animals that live alone like tigers, spider, panda, foxes, etc. These animals live alone to avoid competition for limited food. Some animals go into their burrows and sleep for a long time when the weather is too cold and the food is in short supply. This is called hibernation. When the summers are hot and animals are left with very little water and food, they go for a long summer sleep. This summer sleep is called aestivation. The lightweight and special shape of the feathers help the birds fly. When animals sleep in winters, it is known as hibernation. An omnivore can eat both plant and __________________. 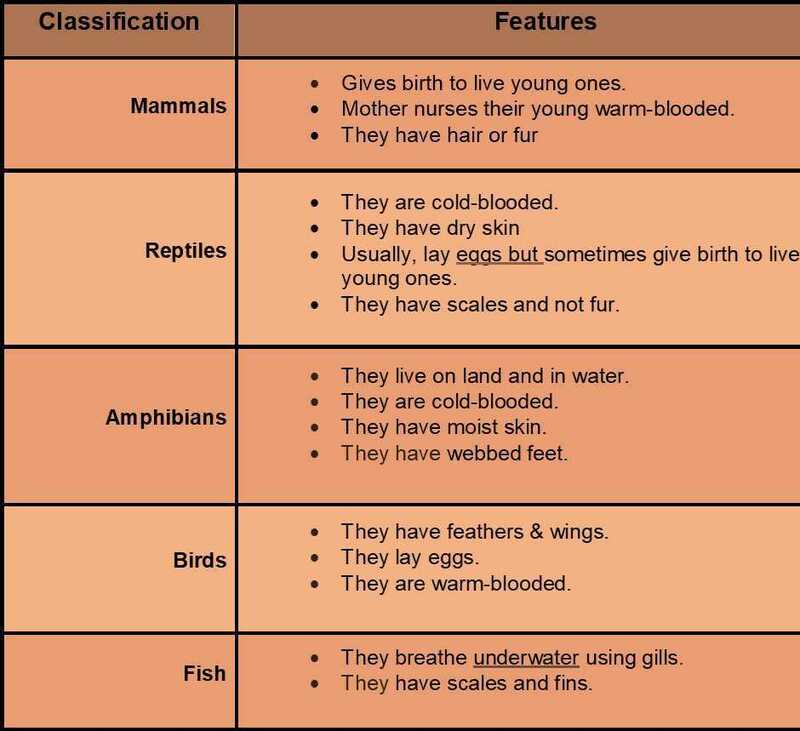 The ______________ are classified as animal. 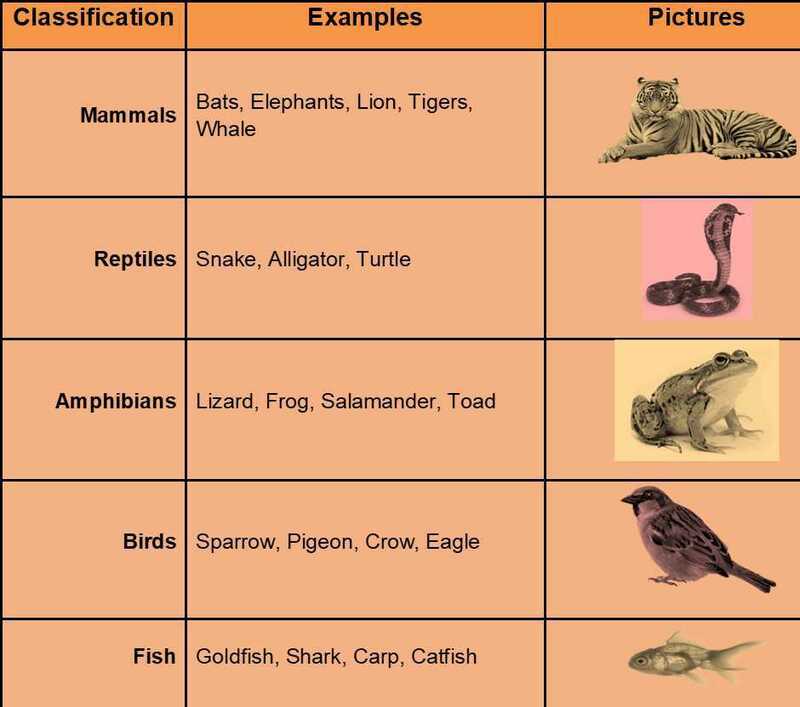 Which type of animals are called as domestic animals? Wild animals cannot be ________________ easily. Which of these live in desert? A camel has _________ humps. The camel stores _________________ in its hump. Which one of the following animals have horns? Has a bullhorn? Animals use horns for ______.